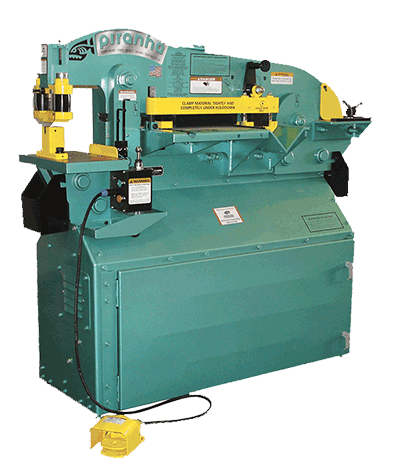 Piranha hydraulic ironworker machines give metal fabricators outstanding quality and innovative features. Every Piranha provides quality work, savings in set-up time, adaptability and versatility through a wide range of tooling and factory engineering and support. See Our Ironworker Machine Build and Testing Process. EasyCrown Makes Accuracy Automatic Eliminate guesswork and rework with a CNC press brake crowning system that automatically compensates for deflection through hydraulic cylinders in the bed. So fast, it’s almost like time travel. 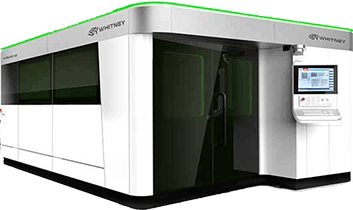 Piranha-Whitney fiber laser cutting machines are packed with exclusive technology to blow your current production speeds out of the water. MORE PARTS PER HOUR. PERIOD. 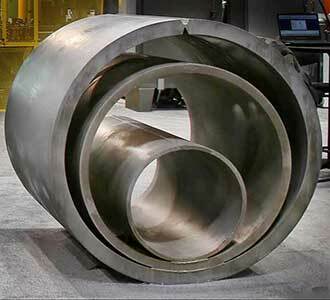 Producing complex, thick parts with multiple steps can take a lot of time when done on a series of machines. That’s why fabricators worldwide turn to Piranha-Whitney Punch Plasma Combination machines to produce three times as many parts per day, at one third the cost. Genuine Piranha tooling is available for all makes and models of ironworkers, portable presses, and punching machines. Standard sizes of tooling are in stock and available for same-day shipment. Piranha is serious about making your metal fabrication shop run better! The goal at Piranha is to improve your production efficiency by speeding your production, increasing your accuracy, and reducing your fabrication cost. Our lines of metal fabrication machinery will help you deliver the highest quality with greater profits. 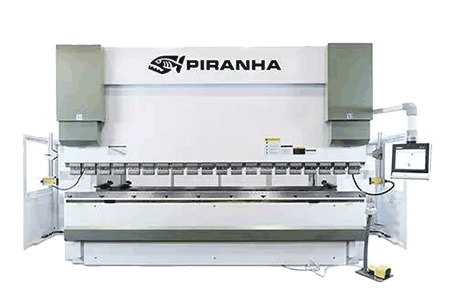 Piranha solutions include fiber LASERs, punch-plasma combination machines, plasma cutting machines, heavy-duty hydraulic bending rolls, ironworkers, press brakes, plasma tables, and an extensive line of machine tooling. Our team is constantly at work to find new solutions that produce more precise parts, in the least amount of time. We believe in hard work and being great to our clients. We believe in value and durability. Our reputation is at stake with every machine we deliver. We promise to take care of you. Click on the categories below to learn more ways Piranha can help your metal fabrication operation run smoother, with lower cost, and more accuracy. Piranha is here to help you make your shop run better, and that includes making your acquisition easier, too. Here is some leasing information to help get you started. Some of our abilities include: $750,000.00 same day application only program, 100% financing, first payment delay for 6 months (optional). Please do not hesitate to contact us for more information. What About New Tax Incentives? USA businesses have big new incentives to acquire and install capital equipment. The Tax Cuts and Jobs Act of 2017 made significant changes to both Section 179 and bonus depreciation which, when used together, may allow businesses to deduct up to 100% of capital purchases. Section 179 • Deduction limit increased from $500,000 to $1,000,000 • Phase-out threshold increased from $2,000,000 to $2,500,000 Bonus Depreciation • Level increased from 50% to 100% and remains at that level for five years. Section 179 & Bonus Depreciation Combined • Total expensing increased from 50% of total spending to unlimited for new equipment. Speak to a qualified tax professional familiar with your specific business circumstances. 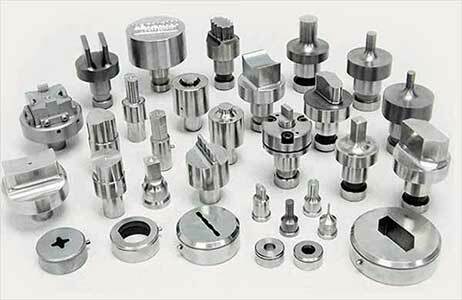 Piranha offers tooling for our machines, as well as the brands listed here. Training Options include those listed here, and additional training as needed. Contact us to learn how we can help keep your operation running at its best! This class is designed to provide first-time users of Piranha machines with basic information about machine operation and maintenance. Training includes an introduction to the major machine components and their functions. Practical experience includes machine setup and operation, preventive maintenance and simple diagnostics testing. This course is designed to help programmers and operators understand how to solve problems related to machine code. Training includes an introduction to the major machine components and their functions. Practical experience includes writing machine code without a programming system. Our goal at Piranha is to ensure the highest quality of service to our valued customers. A new Customer Service Support Center has been implemented to enhance customer response time and guarantee that all technical support requests are tracked and recorded in a permanent database. With this system, we are able to effectively measure our response to you, capture historical data about your machines, and create a solutions library for machine service issues. Along with this Customer Service enhancement, Piranha has expanded our Customer Service group, to include regional staff, stationed in key areas throughout the United States. Even the best machine needs a tune-up once in a while to keep producing at top capacity! Fine-tune your older machine with the least amount of downtime, and the smallest amount of shop floor interruption. Piranha offers complete Machine Performance Audits, where an experienced engineer inspects your machine and provides a roadmap to increasing and maintaining your accuracy and productivity. 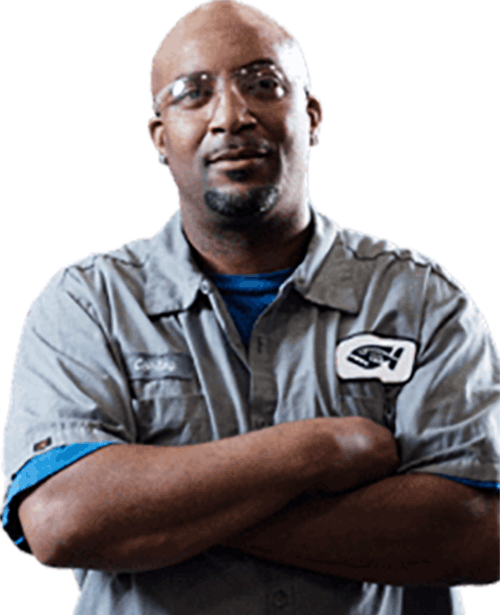 Receive a written report detailing maintenance or repair recommendations, required parts and an estimate of hours to complete the work. Our customer service department is available to perform preventive maintenance at regular intervals to ensure that your machine is kept in good running condition. These visits are available at nominal cost, and can also be used to perform additional training, and to review operational procedures so that you get the most out of your machine. Probably the one thing that’s been as satisfying to us as anything is the tolerances we’ve been able to hold. We’re able to cut the I.D. and O.D. and punch before we machine the parts. It has saved us a tremendous amount of time. President, Wilco Machine & Fab., Inc. If you’re looking for a big plate processing machine, productivity-wise, you’re not going to produce more parts on anything else. We like running 1 inch plate on the 4400 because there is nothing that will cut 1 inch plate better than that. Manufacturing Engineering Manager, Great Plains Manufacturing, Inc. When it comes to customer service, Piranha is going to be tough to beat.